Illinois Entertainer: How are you? John Wicks: I’m just finishing up a run here in Athens, Georgia. It’s gorgeous. IE: Oh, like a literal run? JW: Yeah, I run a lot. When I’m not drumming [in Fitz And The Tantrums], I’m running. It’s like my hobby. I’m doing ultra marathons now. I’ve got a 15 miler coming up next month and then I’m training for the Cascade Crest run in Washington, which is a 100 miler, and it’s totally insane amounts of running building up for that. IE: So the life of a traveling rock star isn’t enough, you need to push your body to the limit too? JW: I will say, it’s definitely helped me with playing in this band, ’cause the show is so high energy that when I’m not in shape I definitely notice it. And Fitz [Michael Fitzpatrick] and Noelle [Scaggs] and myself are moving [constantly] for the hour and a half show . . . so it helps me to be in shape, that’s for sure. 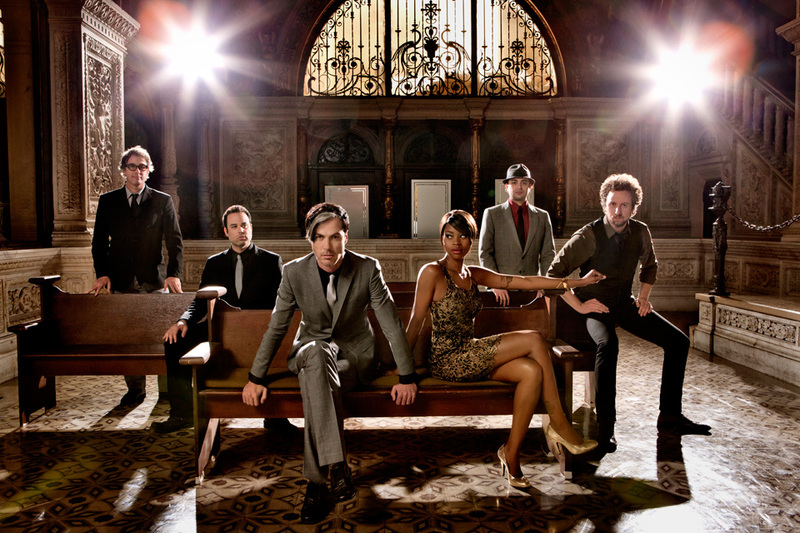 IE: One of the hallmarks of a Fitz And The Tantrums show is the dance party atmosphere. I read that a choreographer was brought in to stage the new songs to give Fitz some moves? JW: I don’t think Fitz has any lack of moves. They’re kind of strange moves, but there’s definitely no lack of them, but yeah, we brought in a friend of Noelle. So yeah, we’ve got some really cool moments of in sync choreography between Fitz and Noelle and the band. It’s pretty fun. IE: You’ve been slapped with the throwback label, but after listening to the new album, More Than Just A Dream, that doesn’t really apply anymore. Why stray from something that worked so well? JW: Once all of us came into the band and it wasn’t just solely Fitz’s baby anymore, all of the different influences came in from all the different band members and sort of set the compass a different way. Now we have a lot of synthesizers and drum machines and all of those things and the rule going into this next record was that there’s no rules. There’s nothing that’s off the table sonically or musically, and we can’t say, “Well, we can’t do that ’cause it doesn’t sound like us or it doesn’t sound like Motown or it doesn’t sound like soul.” The only rule going in is that there’s no rule. I think . . . the reasoning for getting away from that Motown world is that [once] you get lumped there, you’re stuck and none of us really wanted that. IE: The band wrote 40 songs in 30 days for this record? Was that as exhausting as it sounds? JW: That’s about right, yeah. Everyone went to their home studios and cranked out ideas. It might have been just a little bass line or some of them came in with complete written songs and we all convened in the studio and did some writing together where we were just jamming and hoping that we would find something that worked. Yeah, it was exhausting and, in a way, it was kind of competitive because we were all trying to write and, in a way, try to better one another. It’s a healthy competition, I think. We were all working hard trying to get some stuff that we thought was good. You kind of have to . . . put your ego in check. 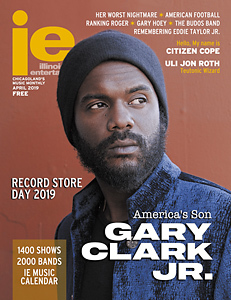 IE: The band is notorious for its no-guitar rule. Is that still in effect? JW: As I said before, we said there’s no rules this time around, so we broke that golden rule of no guitars. I think there’s guitars on two songs – very minimal. But our saxophonist is now covering that, because you’ll notice on this record that there’s less saxophone. IE: Was that decision hard to make? JW: It was, definitely. It got to the point where we listened to the songs that we had a guitar on and pulled the guitars out and it just didn’t sound good anymore, so we kind of just had to say, “You know what, this is a guitar song. Tough. We gotta do it.” It’s a total drag, but also, just for convenience sake, we didn’t want to lug another piece of gear. Guitarists are notorious noodlers and they just never shut up on their guitar. So thankfully, our guitarist is not a guitarist so he doesn’t have that problem. IE: On this album you made the jump to Atlantic/Elektra. For a band with such a strong DIY ethic, how has that jived with moving to a major label? JW: I was actually very nervous about that. I haven’t really noticed, to be honest, that much of a difference between being on Atlantic or Elektra than being on Dangerbird. We’re still in the bus hitting the road hard, playing every night. That business model is still there and that’s the one that’s always been there since the very beginning, so you just have to get in the bus and go tour and get your songs on the radio. Believe it or not, the power of radio is still there. I didn’t think it was. I thought radio was dead. I thought the Internet killed radio a long time ago. But the truth of the matter is the reason we’re a successful band is we had “MoneyGrabber” on the radio. So now, it’s still the same thing. We’re still on the bus; we’re still trying to get our songs on the radio. The only difference between being on Atlantic and being on Dangerbird is that instead of seven people doing the work in the office, we have 300 people doing it. And that makes a world of difference. IE: Speaking of being on the bus, what do you all watch on the road? JW: Fitz is definitely all about “Walking Dead.” I think he’s all caught up now. Personally, I’m a “Boardwalk Empire” freak. I love that show and I love “Dexter,” so I try to get caught up on “Dexter” when I’m on the bus and then we just found out that James King, our saxophonist, has never seen The Godfather series, which blows my mind. It’s a classic and none of us could believe he had never seen it. We just started this bus tour last night, so this tour is definitely going to be dedicated, at least the first part of it, to getting him caught up on The Godfather. 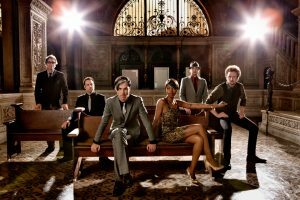 Fitz And The Tantrums release More Than Just A Dream on May 7 and appear at Metro (3730 N. Clark) in Chicago on June 18 and 19.